Braemar is situated within easy access of town centre, lake and fells. Single, twin and double rooms available. Secure cycle store and drying facilities available. Our accommodation comprises of three double rooms, two single rooms and one twin room, all with en suite facilities. 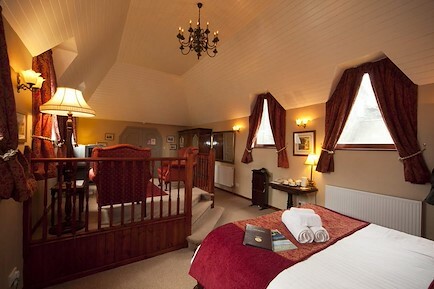 All rooms are centrally heated, have colour TV’s, tea / coffee making facilities and radio alarm clocks. There is also a hair dryer and iron / ironing board for guest use. A full English, Vegetarian or Continental breakfast is served. With prior notice special diets can be catered for. Packed lunches can be provided on request. We have drying facilities for outdoor clothing, and a secure cycle store. For the comfort of all our guests we are strictly for non–smokers, and do not allow any pets. on the left, which is Greta Street. This leads directly into Eskin Street. Your enquiry will be sent directly to Braemar. Please fill in as much detail as you can.